For professional brewers, CBC is the number one environment in North America for concentrated, affordable brewing education and idea sharing to improve brewery quality and performance. The conference is also a great social event with thousands of brewing industry professionals enjoying craft brews together. 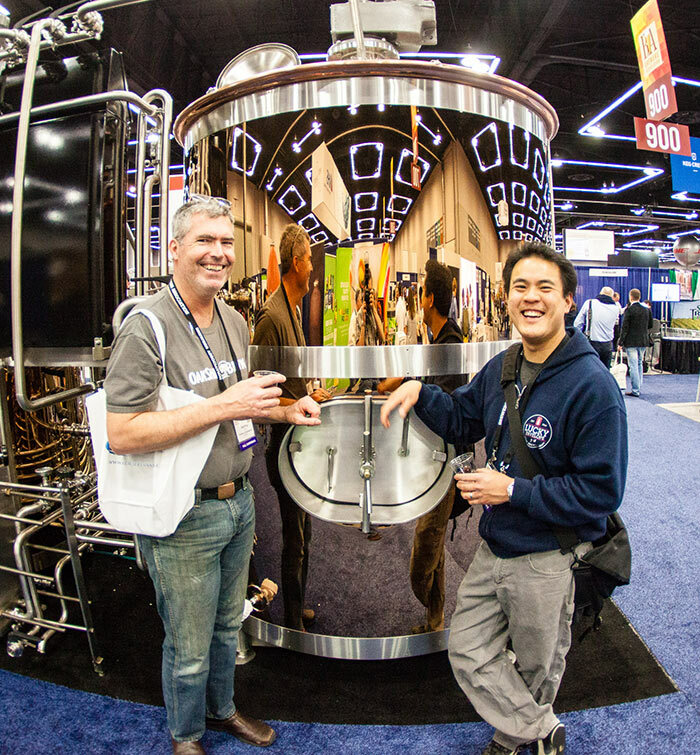 BrewExpo America® allows exhibitors and buyers to develop profitable business relationships and helps brewing and brewery restaurant professionals encounter the latest and best products and services that industry vendors have to offer. Who organizes the Craft Brewers Conference? The Craft Brewers Conference and BrewExpo America® is presented by the Brewers Association, a recognized leader in the national and international brewing arena. What’s the International Perspective on CBC? Get one point of view in this video conversation among Sam Calagione of Dogfish Head Craft Brewery and (from left in video) Logan Plant, founder of Beavertown Brewery in London, Jean-Francois Gravel, owner and co-founder of Canada’s Dieu du Ciel!, and Stéphane Ostiguy, owner and co-founder of Dieu du Ciel!